Tip of the day 5 of 5 What is the difference between informal and formal CPD recording ? CPD – what do I record? Continuing Professional Development (CPD) is one of the sections that has been updated in the latest RICS templates. You are required to record 48 hours of learning per year and at least 50% of it should be classed as formal learning. When you are following the APC process, the 50% minimum formal CPD requirement is easily achieved as the amount of reading and learning you need to do to bring yourself up to date with the Level 1 competency knowledge is more than enough. Formal learning is classed as an activity that has a ‘learning outcome’, which means that you have attended an event or undertake an activity where you believe you have learnt something new or enhanced your existing knowledge. If you are just attending an event, for example, a networking event or a repeat of a presentation or seminar you have attended previously then you would probably not necessarily be expecting to gain much further knowledge or education so you may allocate this to informal CPD. How do I record CPD in the myAPCDiary? Click on the CPD section in the tab and enter the details of your CPD. 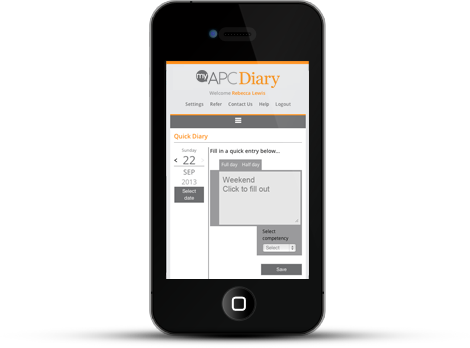 The myAPCDiary will automatically collate your CPD entries into a graph of formal and informal hours recorded at the top of the page. It will remind you if you are below the number of hours and will also email you once you reach the target number of hours. If you missed the last two tip please see below, see below. Once your Case Study is finished you should focus on developing your 10 minute presentation. I have seen a number of candidates present something different from their Case Study at the final assessment; you will be referred if you do this. If you bring a flipchart or handouts they should look professional. Your notes should be detailed enough to be a useful prompt, but not a script that you read to the assessors. A vital part of your preparation is practise to polish your performance and get your timings right. You will be required to deliver your ten minute Case Study presentation at the beginning of the Final Assessment Interview. You will be expected to deliver an excellent and professional presentation, with well-produced verbal communication, top quality visual aids (if you are using any) good eye contact, good body language, clarity of thought and structure, professional and polite delivery and ensuring you can demonstrate top quality skill and awareness of the needs of your audience. So often candidates don’t do well here so here is your chance to excel and stand out from the crowd. Sitting the final assessment is stressful, understanding what to expect will help. It is a good idea to visit the assessment centre beforehand and test such things as journey time and parking. You cannot be late for the final assessment! Prepare a checklist so that when you get nervous on the day you don’t forget anything. Absolutely anything in your submission documents can be the basis of questioning during your interview, so make sure you put in the preparation time and regularly review your declared competencies and submission documents. Jon’s tips for the Final Assessment and how best to prepare. At the final assessment you will be asked to explain your understanding, experience, advice and actions and give opinions and generally explain how you’ll undertake your business professionally. Make sure you have plenty of competency experience project examples to discuss with the assessors. Remember anything you have included in your submission documents could be the basis for a question at the final assessment. 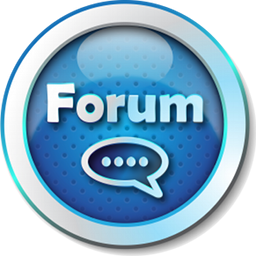 The Forum will also feature an APC process question and answer session and is run by Jon Lever FRICS. 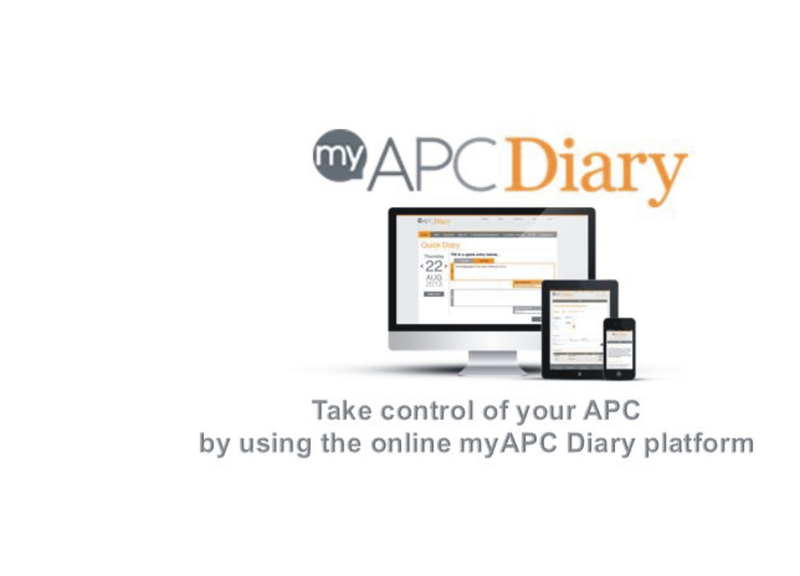 Our online myAPCDiary platform will allow a candidate to record all aspects of their APC program. I t will also provide all related supervisors and counsellors a means of tracking their assigned candidates, in a simple to use, and centralised location. All live, with the latest information. This entry was posted in APC, DeLever FREE Support, Welcome and tagged APC, Candidate support, Chartered Surveyor, CPD hours, Formal, Informal, RICS, RICS CPD. Bookmark the permalink. ← Tips 4 of 5 from Jon Lever FRICS for organising your time leading up to the final assessment plus FREE help. The views thoughts and suggestions noted on the DeLever APCeye Blog are the sole views, thoughts and suggestions of DeLever / Jon Lever FRICS, based upon Jon Lever FRICS's experience and involvement in the Surveying Industry over the last 20+ years, and do not in any way set out to represent the views, thoughts or suggestions of the RICS. DeLever / Jon Lever FRICS do not take any responsibility for any mistakes or ommissions made on this blog (and would be happy to receive your comments if you feel there are any mistakes or ommissions, because that is the way we continue to learn) and you interact and use the content of this blog at your own risk. This Blog is provided FREE OF CHARGE to aid APC candidates and anyone else interested in it's content in their professional development by providing a conduit for discussion and comment. 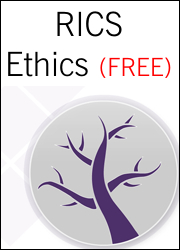 If you are seeking an official or legal RICS view point we respectfully suggest you contact the RICS directly or review the RICS web site at www.rics.org. Thank you.